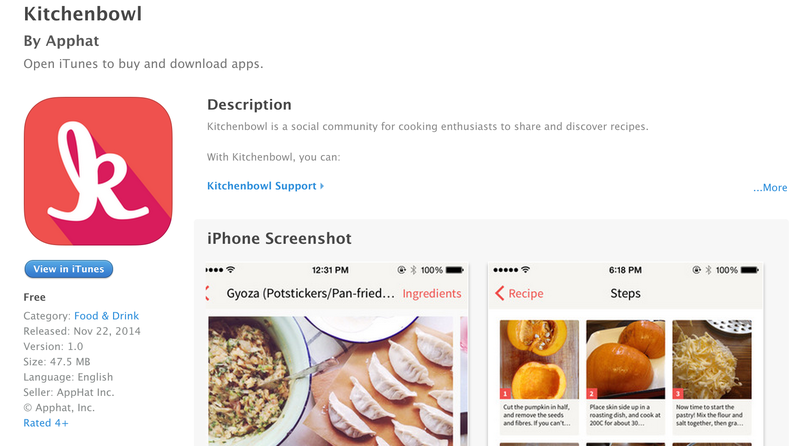 I am extremely proud of our team today for launching Kitchenbowl. Less than a year ago, we started with an idea that we wanted to “learn how to cook” and experimented with cook books (too much work), blogs (too fragmented), and recipe portals (poor quality). After seeing how to make croissants on Top With Cinnamons’ blog, we wanted high-quality step-by-step photo recipes all-in-one-place. In January, we hired a chef that I met in a Lyft to help create our first photo recipe. It was a disaster and *really* hard to create the recipe, take the photos with a dSLR, edit the photos on my computer, and write copy for each step. In March, we finally set ourselves on the vision of creating a technology platform to make publishing easier, but at the same time connect them with consumers (like us!). In May, we were able to muster a prototype and show the feasibility of our product and raise a small angel investment from investors who’ve been extremely helpful — Salil Jain, Carl Ng, Quang Dinh, Ram Ravichandran, Jason Prado, and Patrick Kavanagh. We raised the majority of the round thanks to Hsu Ken Ooi who built a fantastic product that helped us meet Salil, Carl, and Quang. In July, I started reaching out to a list of (“instafamous”) food photographers that I found on Business Insider and that’s how we met Michelle Yam. After that one call, I instantly knew that she was the right person. We flew her up to Seattle a few days later and brought her on the team the following Monday. She took us from having zero followers to 2,700 followers on Instagram (all organic) and from zero alpha / beta users to over 500 sign ups. In the last few months, we’ve gone from zero recipes to a few hundred recipes. We had a very awesome intern Andrea Louie who became a good friend and we brought on Kevin Davis who had no idea that he would be coding, marketing, and moderating content all in the same day. We also wanted to thank to Ramu Yalamanchi, Stanley Wong, Nan Forte, Elisabeth Galvin, and Alex Gounares for all the advice and support. And I definitely want to thank my wife and co-founder Serena Wu who completely stepped out of her comfort zone to create something from nothing. Shockingly, we’re only 10% of the way there and can fail at any moment, but it’s been one of the hardest and best adventures of my life. Ryan is a technology entrepreneur who enjoys globetrotting, photography, and cooking.